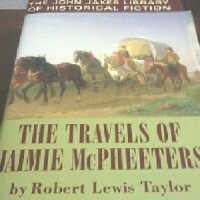 I just finished reading The Travels of Jaimie McPheeters, which was the Pulitzer Prize winner in 1959. It is a fabulous read and a real shame that it is out of print! I couldn't get a hard copy of the book, so I bought the Kindle version.